In continuing our trip across the country&apos;s local cheese farmers, we stopped to talk to two goat cheese farmers in New York State. 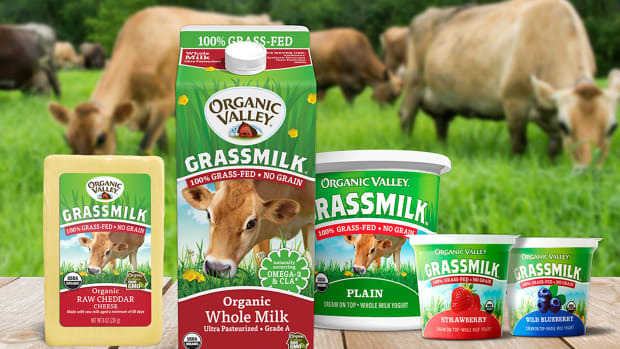 Neither is certified organic, and we&apos;ve loved growing to understand the reasons behind their choices. 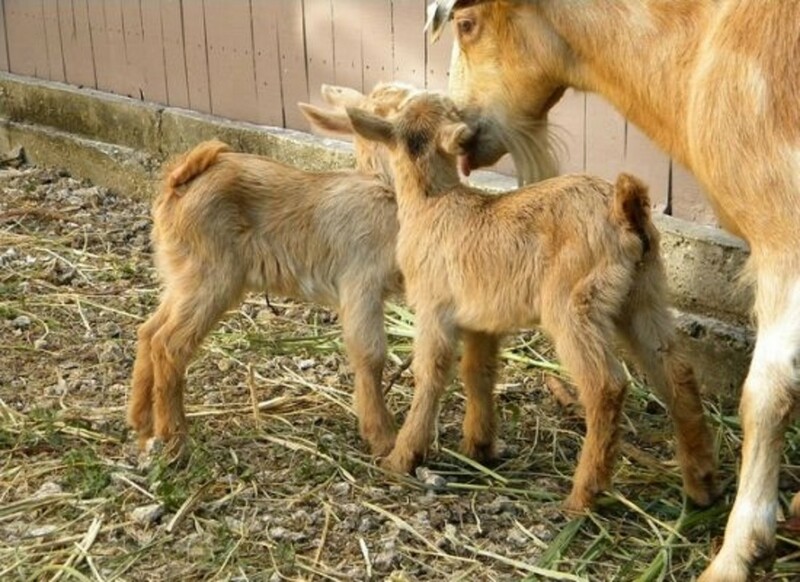 Located in the Mid-Hudson/Catskill region of New York State, Acorn Hill Farm is a family run goat farm, selling everything from cheese to goat milk fudge to chevon (goat meat). Joyce was happy to talk to Organic Authority about Acorn Hill&apos;s products and the way they choose to approach farming. "Organic farming absolutely is important to me," she says. "The over use of chemicals and particularly antibiotics in livestock production has created dangerous consequences. Over use of antibiotics (80% of antibiotics produced are used in livestock) in farming has contributed to if not caused the evolution of antibiotic resistant bacteria." To counteract this problem, Joyce doesn&apos;t give chemical wormers routinely, as many conventional famers do. 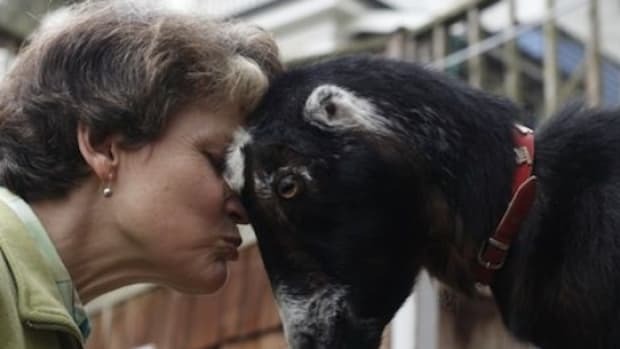 "I manage my goats using organic methods, although Acorn Hill Farm is not certified organic," she says. "I think organic farming is much safer for the environment, the animals and the people who work with those animals, as well as for the consumer of products produced using organic methods. At the same time, there is a place for antibiotics and other substances, no creature should be left to suffer and when simpler natural remedies fail, then pharmaceuticals are needed and it is our responsibility to care for the beautiful animals that help to feed us. That may sound a bit contradictory, but ultimately it is about doing the right thing responsibly." 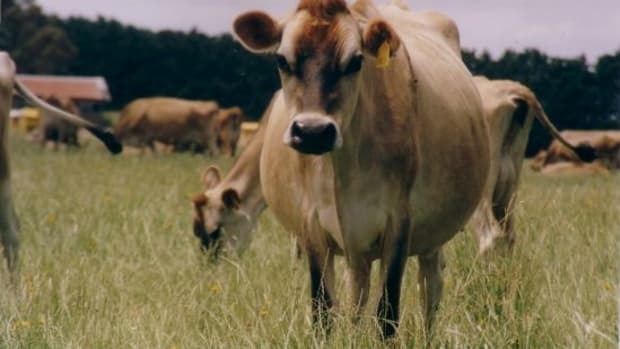 Organic Authority was interested to learn about a different program, aside from organic certification, that may interest many of the cheese farmers we&apos;ve spoken to: farmers who want to care for their animals without endangering the quality of their products. Joyce was happy to fill us in. "NOFA-NY has an alternative program called The Farmers&apos; Pledge which I have signed which is more comprehensive than USDA organic (includes more than just allowed substances and access to pasture rules)," she says. "I use herbal wormers and high tannin browse to help control worms in the goats and practice an intensive hands on approach that allows for catching any problems before they become a big deal. I treat the animals for any ailments with herbs and homeopathics. All the animals are treated as individuals with love and respect." At the end of the day, what else can you ask for... except flavor, of course. Acorn Hill has you covered there, with a variety of products that are both delicious and nutritious. 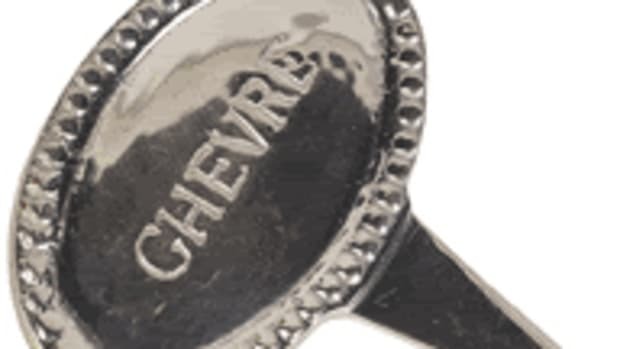 "The product that I sell that really exemplifies what I do would have to be the Chevre," Joyce says. "Each batch is made with that weeks market demand in mind with the goal that the customer will be getting the freshest chevre possible. Acorn Hill chevre is a fresh, tangy and creamy semi soft cheese that is sold within days of being made." 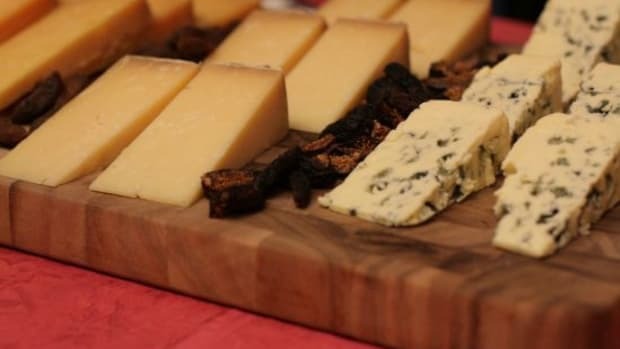 "My personal favorite cheese to make and I hope to increase production of is raw milk Montasio. This hard cheese based on an Italian monastery recipe is aged for at least six months and has a sharp flavor reminiscent of cheddar but with a hint of Parmesan. People look forward to the periodic batches of this cheese, and I would love to build a larger aging area for raw milk cheeses." If the name sounds familiar, that&apos;s because Miles and Lillian Cahn behind the popular Coach leather brand (yes, purses and such) started the Hudson Valley farm about 25 years ago. "The farm was a retirement project for them," says Tara Kirch of Coach Farm. "They had their home on the land and didn&apos;t know what to do with it. 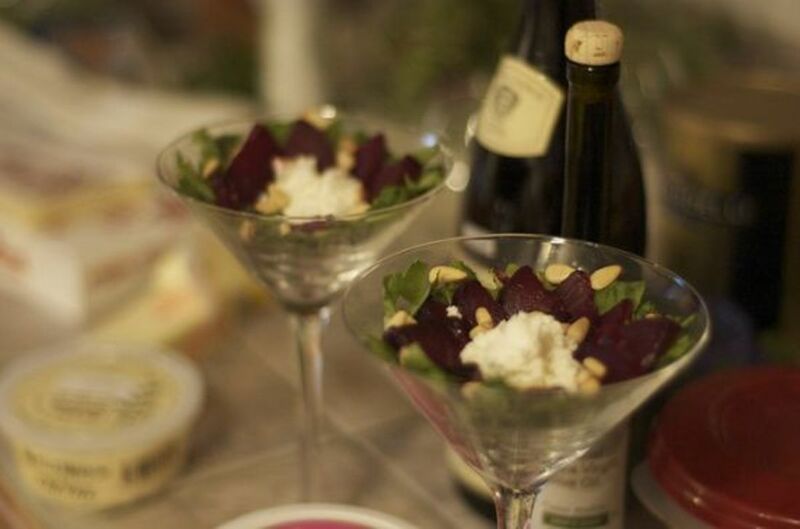 They decided that there weren&apos;t enough good goat cheeses in the States, like there were in France." 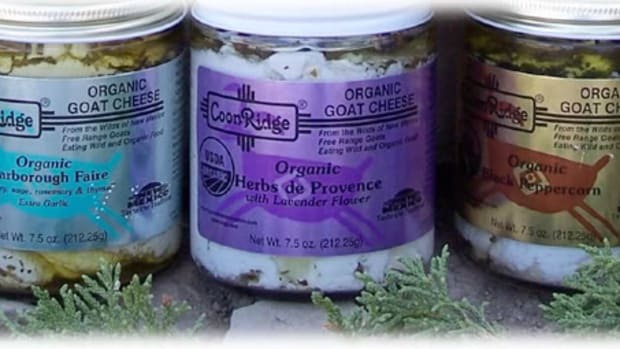 One thing led to another, and pretty soon, several different small farms in the States started creating real, delicious goat cheeses in America. "They basically decided they wanted to operate the farm the way the French do," says Tara. "As a farmstead." What does that mean? In a nutshell, everything is done "sur place," or on location. It was a hands-on process, whereby the goats were fed, raised and milked on the premises, and everything from the first pail of milk to the last log of cheese was made on the farm. The process isn&apos;t quite as hands-on anymore, but they&apos;re still doing things the farmstead way, with handmade, hand-molded cheeses made from the milk of goats who were fed off the land, which makes cheesemaking a 5-6 day a week job. The Cahns have since retired, but their ideas remain strong at Coach Farm. "We control our milk source. We know what&apos;s going into our cheeses, what our goats are eating, and we basically control the quality of it," says Tara. 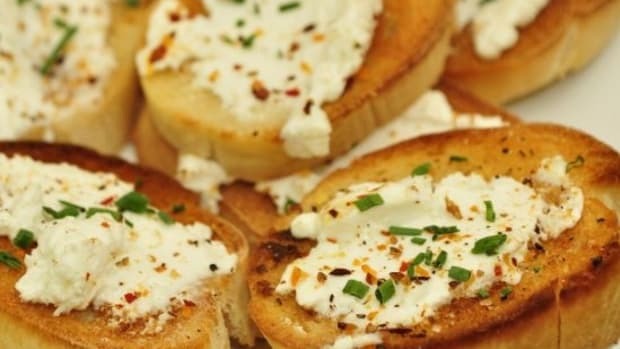 "Any time we have leftover whey, it’s used to make a traditional ricotta. We do it the traditional way, using the whey." Commercial ricotta makers often use cream instead. "Whatever&apos;s left makes a great fertilizer." While the farmstead mentality remains true, Tara notes that Coach Farm is not certified organic, and their reasoning sounds awfully familiar. "Our biggest concern is that being organic doesn&apos;t allow you to treat animals with antibiotics," she says. "It&apos;s important to treat animals that are sick." Any sick animals are immediately pulled out of the milk source until they&apos;re healthy, and they&apos;re only brought back in when all the antibiotics are out of their system, which allows the farm to both care for the animals and for the consumer that trusts their product. As for the product itself, there are several that Tara says they&apos;re particularly proud of. Cheesemaker Mark Newbold has recently turned out a triple cream that recently won a sofi Silver Finalist award. The 4-pound cheese is "everybody&apos;s favorite" according to Tara, with its bloomy, white rind and creamy texture. "We&apos;re the only producer in the US to make a 100% goats&apos; milk triple cream," she says; the excitement is palpable. Perhaps that&apos;s because another product, their Grating Stick, has also just been given the award. 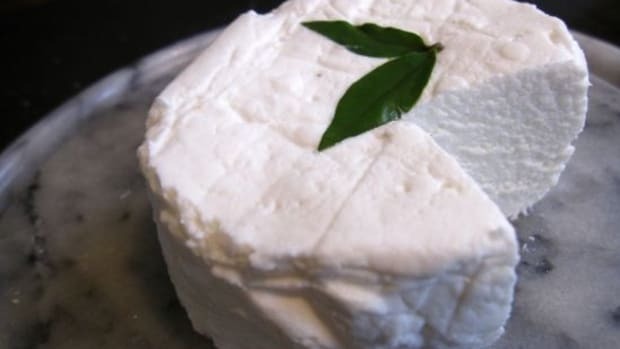 A buche de rhône style goat cheese is aged until it’s hard, and the outside rind is peeled off to reveal a solid inner stick of cheese, perfect for grating. Local chefs have been using it in place of or in addition to Parmesan. "It&apos;s just starting to take off," says Tara. Hopefully, this is only the beginning for this intriguing innovation!